The Field Day and Tour was part of the Risk Management Schools held in Kona (June7) and Kau (June 9). Crop & product diversification is a strategy that can help growers to manage risk. 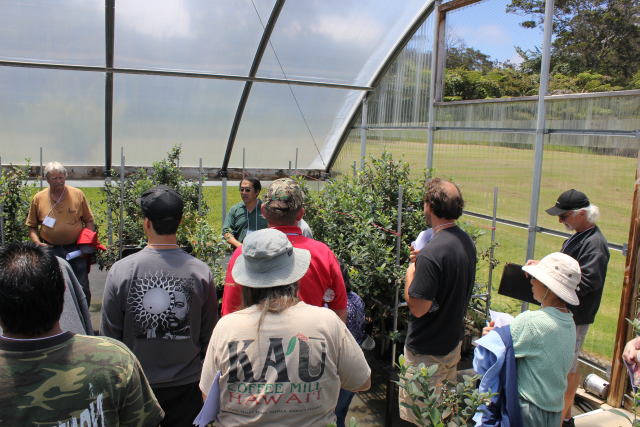 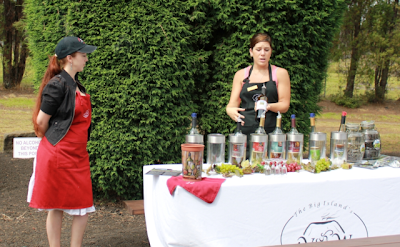 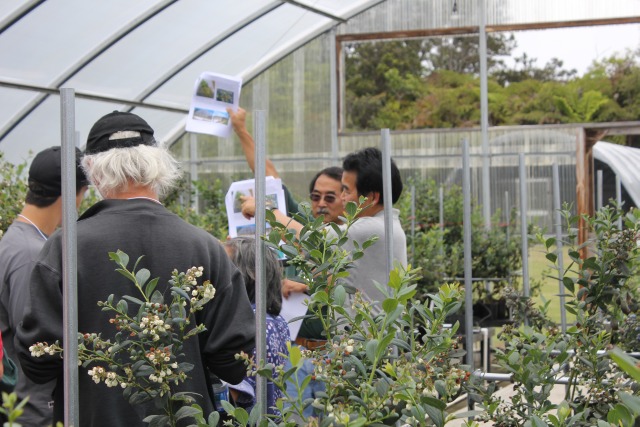 Attendees learned of research being conducted on two alternative crops, and got to visit an operation -- Volcano Winery -- where one of the crops, tea, is being used in a successful new product. 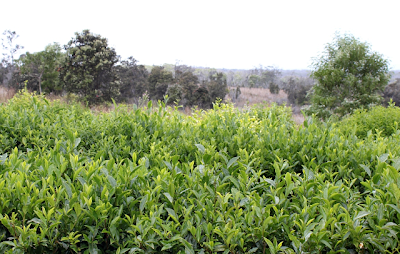 Gathering in the tea field at the Volcano Research Station. 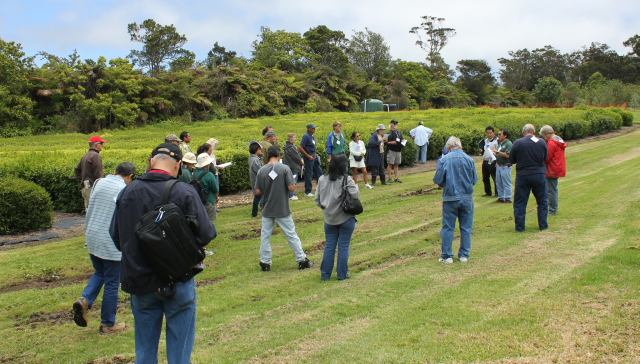 The station is at 4000’ elevation, and weather can quickly change from sunny & hot to cloudy, wet & cold. 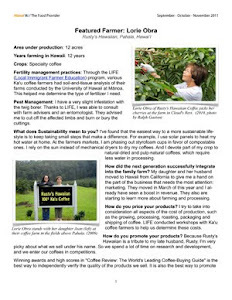 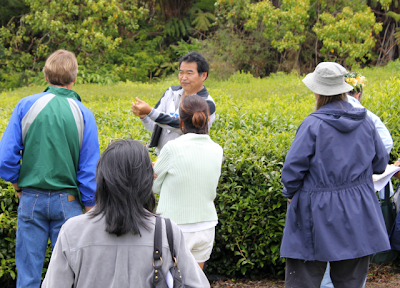 Agent Randy Hamasaki discussing the harvesting of tea. 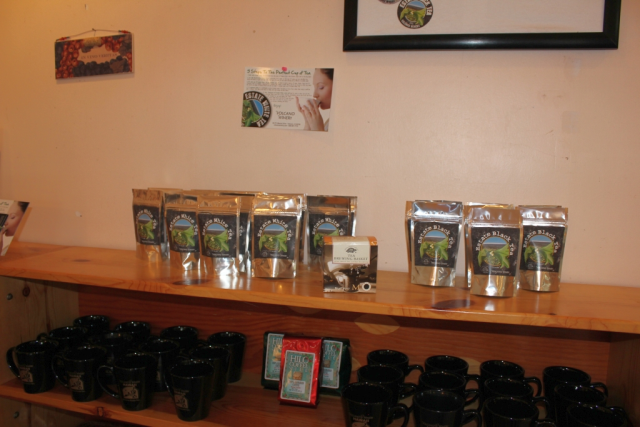 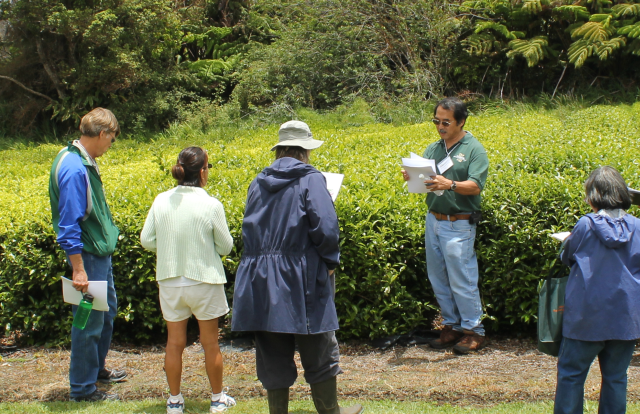 Most tea research is being conducted at CTAHR’s Mealani station in Waimea. 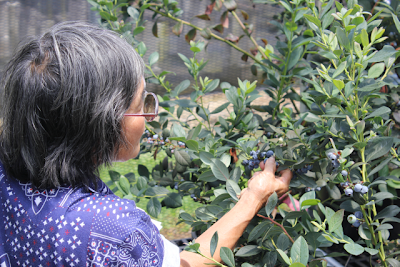 Tasting fruit of different blueberry varieties being tested. 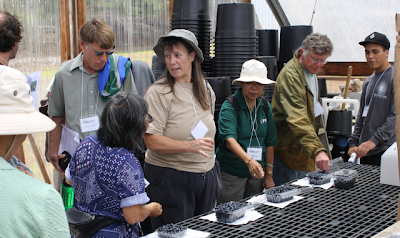 Variety trials are one of several areas being researched. 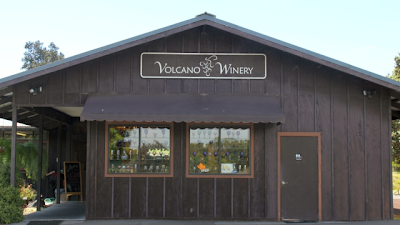 The event included a visit to the Volcano Winery, one of only three wineries in Hawaii (two also grow grapes). 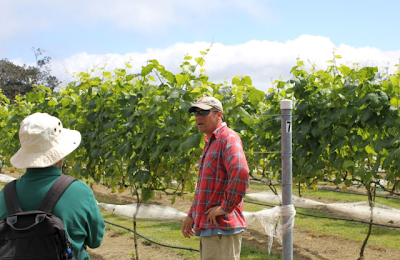 Mr. Alex Wood leading the tour through the vineyard. 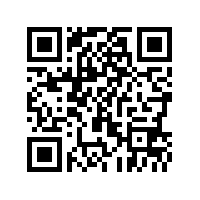 Varieties include Symphony and Pinot Noir.